So our naïve 30-year-old scriptwriter vows that she will not let Eason’s Fang Meng get killed off. Eason then mentions about how he had written a song for HE in the past, but the duo disbanded before it could be released. Ming Ming is quick to assert that she will allow Eason to release this song in the drama through Fang Meng. The glint in his eyes lets you know that he’s playing her and she’s falling for it hook, line, and sinker. Well, he’s not horrible as we did get to see his conscience in the previous episode, but still. Eason then makes Ming Ming pinky swear that she will keep his character alive and well until the end and will allow him to release his song. Ming Ming cautiously hooks her pinky and Eason pulls her in closer to seal the deal. At this time, Eason recalls the reason he came to visit Ming Ming—the shoe! He didn’t pinky swear that he would bring its mate, but he did keep the promise. He asks Ming Ming where the red shoe is and Eason puts both on her feet this time. She is happy and admires her new shoes. Eason compliments the shoes, but her dowdy outfit doesn’t match it. He decides to play the role of her stylist and marches to her closet. He’s appalled by what he finds. He goes through a drawer and pulls out all sorts of clothing. Ming Ming is proud of each horrible fashion mistake. Eason finally finds a set of clothes he doesn’t dislike and has her try them on. Once she has the jean skirt and striped shirt on, he says it’s an improvement and then puts a sweater around her neck. He then finds a pair of scissors. No, he doesn’t attack her somewhat voluminous curls. Instead he attacks the bottom of her skirt and shortens it to about mid-thigh level. Once that is done, her transformation gets his seal of approval. He then asks after makeup. This floors Ming Ming. Makeup…where would that be? Eason cannot believe this. When was the last time she wore makeup? 3 years ago… no, five! FIVE YEARS! Eason says that while clothes don’t have expiration dates, everything else does—even youth. Harsh blow to our heroine. He then holds out his hand and invites her out. As Ming Ming follows Eason outside, Shao Tian returns home and is surprised to find Ming Ming jie nowhere to be seen. Eason takes Ming Ming to Henry’s [Zhang Lun Shuo] club. Henry cannot believe his friend would bring such a dowdy woman—has his standard really fallen that low? 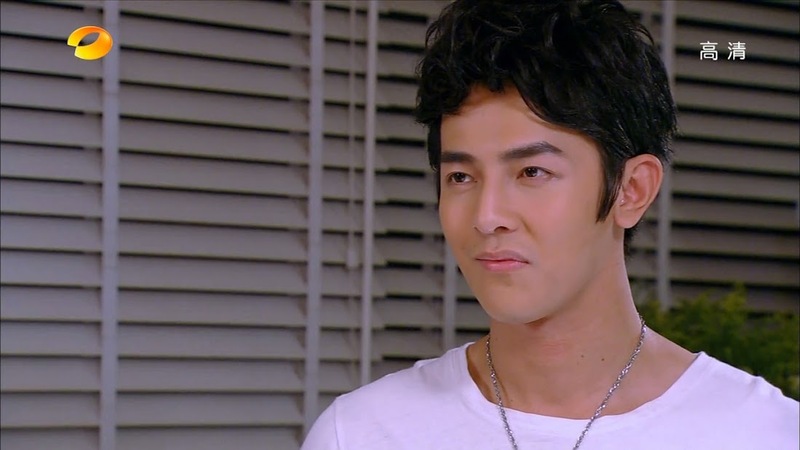 Eason scolds his former partner for being mean and tells him that Ming Ming is the writer he was talking about. Henry then makes his way over to Ming Ming and introduces himself. Ming Ming is over the moon to meet the second half of her most favorite duo. She admits she owns all of their CDs and knows all of their songs by heart. Eason then comes up and says he will play the song he told her about. Henry joins him on stage with his guitar and the two sing Eason’s love song. Ming Ming vows to herself that she will most definitely make Eason’s dream come true. This is now their special song and she will make sure Fang Meng will help it see the light of day. The song finishes and the crowd calls for an encore. The three then go to a private booth to drink. Henry scolds Ming Ming for holding back. Ming Ming says she cannot drink too much as the PD is on her back about getting the script revisions done and she still hasn’t figured out how to incorporate them. Henry tells her that in his experience alcohol can enhance creativity (alcohol can do a lot of things, but it’s different for everyone). Henry even offers to give her ideas. Eason vetoes this. Ming Ming does accept the drink in hope of inspiration and Henry has his private stash broken out. Meanwhile, poor Shao Tian is still waiting for Ming Ming. He’s even fallen asleep on the counter. He jerks awake, but still no Ming Ming. Henry is ensuring Ming Ming gets liquored up. The three keep drinking. Henry talks about how the “aunty” is not bad. Eason scolds him for calling Ming Ming aunty when she’s not that much older than them. Henry insists that she is an aunty—you can tell by just looking at her. Should the call her “ayi”? No, Henry determines to call her jiejie (when someone is older, but closer to your own age). Again, Eason asserts Ming Ming is not too much older than they are and Henry demands to know why Eason is defending the woman since he’s only getting closer to her on Qiong Zi Mommy’s command in order to keep his role secure. Henry warns him to not confuse acting with reality and Eason says he isn’t, but doesn’t Henry think it’s too despicable? Henry tells him if he thinks that way, then quit. However, Eason isn’t as well off as Henry is. Does Eason really want to go back to being a street vendor? Eason and Henry then notice Ming Ming is gone. Where could she be and what’s taking her so long? Henry staggers to his feet to look and Eason jumps up to steady him. The two then notice the empty liquor bottle and Ming Ming slumped beneath the booth. Nice. Eason piggybacks the drunk girl home and she is singing his song. Meanwhile, Shao Tian wakes up on the couch and checks his watch. He checks and still no Ming Ming. Why isn’t she back yet? He goes outside and finds Eason looking through Ming Ming’s purse. He’s just about to check her pockets when Shao Tian scolds him. 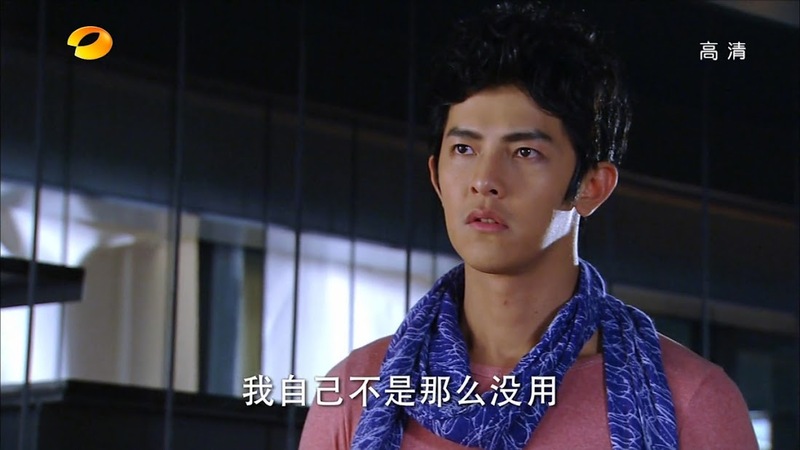 Shao Tian pushes Eason away and Eason asserts he was honestly only searching for the keys so he could unlock the door. Shao Tian pushes him away and says he knew Eason was bad news from the moment he saw him. Why was she out all night? LOL. Doesn’t Shao Tian sound like a mother hen? He’s soooo adorable. Eason says they only went to a nightclub and Ming Ming had too much to drink. He realized she didn’t have the keys. Eason then pauses in his explanation. Just who is Shao Tian anyways? Why is he at Ming Ming’s house? Who is he to scold him? Shao Tian asks if Eason really doesn’t remember. Eason then recalls their “accidentally on purpose” kiss and backs off. Then…Shao Tian is Ming Ming Teacher’s…son? Riiiight—because she’s that old. Eyeroll. 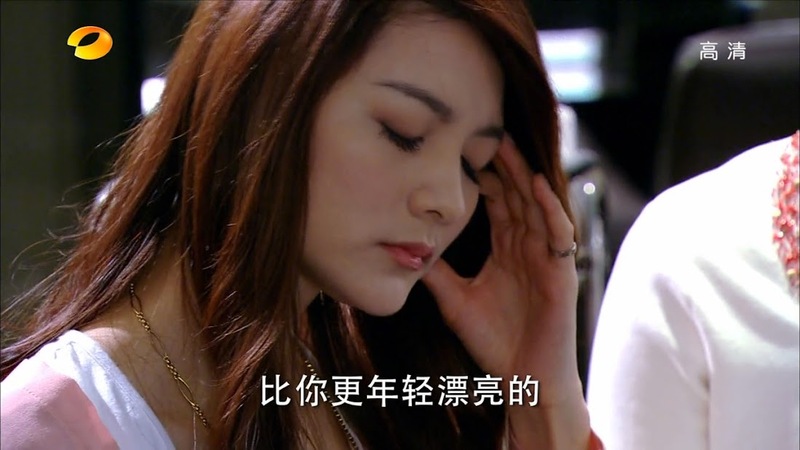 Shao Tian glares at Eason and Ming Ming complains it’s too noisy and she can’t sleep. Shao Tian then picks Ming Ming up and leads her to the apartment. He tells Eason to leave her alone and leave before shutting the door. Eason can only stare angrily and keep pointing. Looks like he has something to say, but can’t. He leaves. Inside, Shao Tian scolds the drunk Ming Ming for going out with Eason and then asks why she’s dressed like she is. He then says that she must call if she’s not coming home since he’s supposed to be taking care of her. He gets her in bed and pulls off her shoes. He then covers her up. Such a sweet didi. Eason is sleeping and Qiong Zi comes in and tries to wake him up. He falls back to bed. She gets behind her son and pushes him up again. Eason says he has no work today and didn’t get any sleep the night before. Qiong Zi knows he has no work that day, she just wants to know how things went last night. Did he make progress? Eason says he thinks its all settled as Ming Ming doesn’t want to write off his character. This makes Qiong Zi happy and she starts massaging her son’s back. Eason then says something is weird. 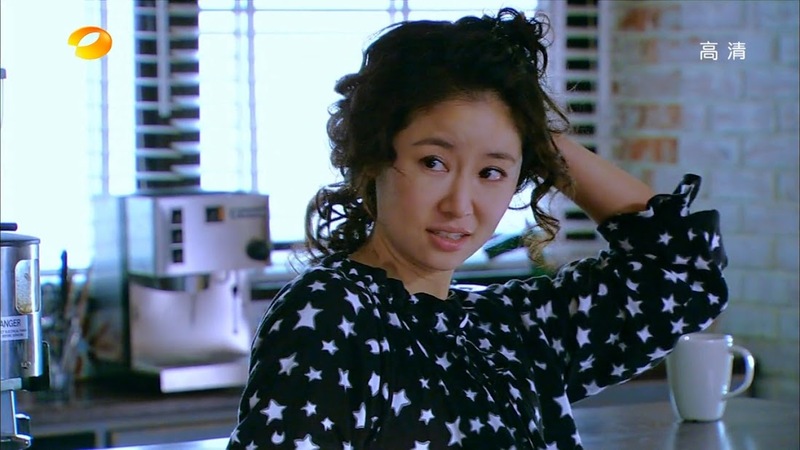 Ming Ming proclaims to have no boyfriend, but it seems like her teacher’s son is living with her and Eason can’t quite figure out their relationship. Qiong Zi’s hands stop. Is he serious? Eason again ponders just what her relationship with Shao Tian is. Qiong Zi lays back and says something is definitely up. Meanwhile, Shao Tian is on his laptop. He’s also pondering just what is going on between Eason and Ming Ming. Of course, Shao Tian thinks something smells fishy. He then gets a call from Zhou. He meets her at her office. Looks like she wants his computer skills. She wants Shao Tian in charge of online promotions—is he interested? Shao Tian is surprised that they want to start online promotions for a drama that isn’t airing for another three months. Zhou explains it’s to build audience hype and anticipation because the current timeslot has bad viewership. Shao Tian smiles and says his mother always told him ratings don’t come from promoting alone, the drama has to be good. Zhou says there is no way the drama won’t be good. Shao Tian smiles. She’s confident because of the script? Nope. She’s confident because Eason’s character will be killed off in the fifth episode paving way for the popular Ou Yang Cheng to take over starting with the sixth episode. With him in the drama, there is no way it can fail. Shao Tian asks if Ming Ming knows. Zhou says of course since Ming Ming is the writer. She has two days to revise the script and kill Eason off and introduce Ou Yang Cheng. Shao Tian recalls the earlier scene he witnessed that morning. He then promises to keep an eye on Ming Ming to ensure she gets the script revisions in. Zhou then asks if he will or will not accept the job. Ming Ming has finally woken up and demands to know why Shao Tian took the advertising job for the drama. He hands her a cup of coffee to cure her hangover and says he did it to monitor her. This offends Ming Ming. Shao Tian reminds her that she ran off to drink instead of finishing the script like she was supposed to. Plus, his mother is listed as the head writer for the drama. If Ming Ming ruins her reputation, who will support Shao Tian while he’s unemployed? Ming Ming lies and says she only went out in search of inspiration. Shao Tian says that’s fine and says she can ask him anything. Ming Ming asks him what he’d do. Shao Tian then says have Rose and Fang Meng fight. Rose leaves, Fang Meng rushes after her and gets hit by a truck. Cut to him lying in the hospital with a white sheet already covering him and Rose sobbing and telling him he can’t leave her. Shao Tian even acts this all out. Ming Ming laughs. Shao Tian says his mother has written tons of scenes like that so Ming Ming need only ask him. Ming Ming says his method of death is way too cheesy (yep, highly typical in dramaland). 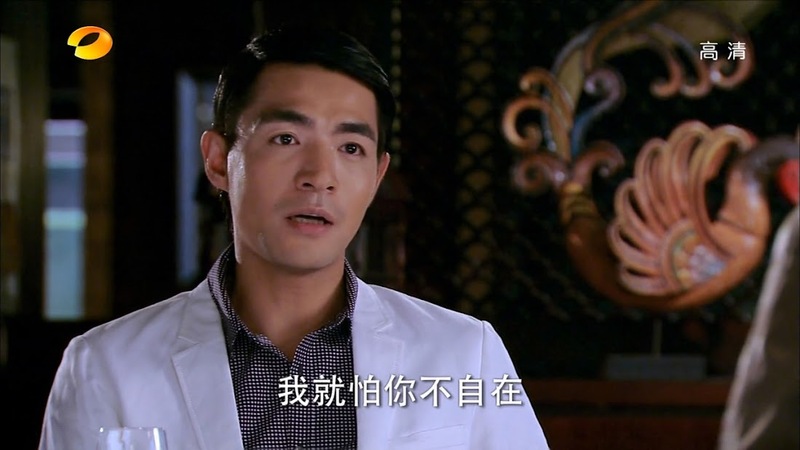 Shao Tian asks about proposing another method, but Ming Ming rejects the offer. Ming Ming pauses. How does Shao Tian know that Fang Meng is supposed to be killed off. 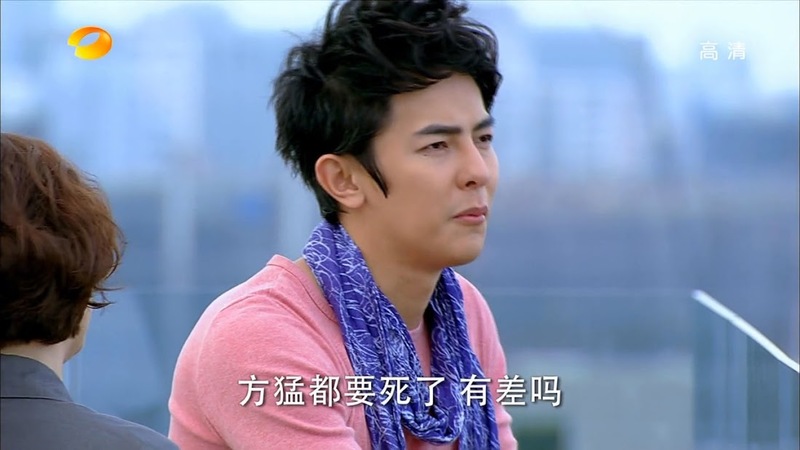 Shao Tian reveals Zhou told him and that Eason probably already knows. How is that possible? Shao Tian then says he believes Eason took her out last night in hopes of getting Ming Ming to drag out his character’s life. Just how easy is Shao Tian’s jie? Or wait…did she promise to prolong Fang Meng’s life and coerce Eason to going out with her to satisfy her fangirl fantasies? Ming Ming immediately says she is not such a person. Shao Tian says he knows she isn’t, but Eason is. He sits down by Ming Ming and tells her that it’s obvious Eason is sucking up in hopes of getting an extension on his character’s life. Ming Ming calls Shao Tian cynical. Can’t Eason just be genuinely interested in…discussing his character with her? LOL. I think she stopped herself from saying isn’t Eason genuinely interested in her. Shao Tian scoffs at this. How many actors in Ming Ming’s writing career actually came to her to discuss their characters? He then reminds Ming Ming about the countless actors who have given his mother gifts and played mahjong with her all in hopes of getting more screen time. Eason and his mother go to the studio with drinks and snacks for the crew when Ou Yang Cheng arrives. This surprises Eason. When the two get upstairs they find Ou Yang Cheng talking to Zhou. The two announce the snacks and drinks and Qiong Zi urges Eason to bring Pei Ni her coffee. Eason goes over and Pei Ni thanks him, but does not take the coffee. Eason then says they have a lot of romantic scenes to film—should they practice their lines together? Zhou shoots him a disgusted look and tells Ou Yang to talk in her office. The two go off and Pei Ni tells Eason that all their romantic scene will not be filmed. In fact, a lot of scenes from episode 4 have been cut and as for episode 5, Eason will see when he gets the script. Pei Ni then walks haughtily away. Eason, looking annoyed follows her. In the dressing room, Pei Ni comes out and shoots a glare at Eason. He demands to know why she’s treating him like that when he’s the leading man in the drama for better or for worse. Pei Ni looks at him and asks in his eyes, is all that matters the leading man status? Has he ever asked himself if he even deserves that right? Eason demands to know who she is to say whether or not he deserves something. Pei Ni insists she works harder than he does and has to put up with more intense mockery and jeers than he does. Is that not enough? Pei Ni says that when she made up her mind to become an actress she went to New York to study and spent 5 years in small productions before landing a supporting role. Does Eason know how many best friends with no importance she’s played? So? So, this role just fell into Eason’s lap with no effort on his part. Has he even had any acting training? Besides his former idol history, does he have any other history? He schmoozes and poses instead of trying to act well. This is why Pei Ni has no use for him because people like him die sooner or later. Eason angrily insists that he will not die. He vows to work hard and show Pei Ni he’s not that kind of person. At this time, Pei Ni’s mother arrives to take Pei Ni home. Pei Ni then tells Eason if he wishes to prove himself, then he should show effort in the right things, letting go of his anger. He should work hard at trying to act and memorize the script. That is the key to survival. Pei Ni is not wrong. Eason should focus seriously on his acting and doing well. Sure she should have given him a chance from the get go instead of being prejudiced against him for getting a role based on his former idol glory. But then again, his actions show his desperation, but not his determination since he’s putting more effort into schmoozing up to the PD and writer than into seriously acting. She’s not as horrible as I originally thought she’d be. Pei Ni is at a salon with her mother. It looks like her mother has set up an arranged dinner for Pei Ni who is not happy going to it. Her mother tells her she needs to be practical. Sure she’s doing well now that she’s young, but in 3-5 years when she’s old, what’s going to happen when the younger girls push her out? Will she act the mother of the leading lady? Okay. I have no idea how old Pei Ni is supposed to be, but seriously? I doubt she’d really be old enough to be considered old in that standard and definitely not old enough to play a leading girl’s mother. Shakes head. Poor Pei Ni. You can tell how much she doesn’t like her mother pushing her to marry a rich man. At this time, Pei Ni notices she’s missing an earring. She quickly rushes out to check the dressing room since it’s a two carat diamond earring. Sheesh. Pei Ni gets to the dressing room and searches all over. She can’t find it. Did she drop it on set? She leaves the dressing room and goes to the set where she finds Eason pacing back and forth memorizing his lines. This catches her interest and she pauses to watch. After memorizing, Eason tries acting it out, but it’s still rather stiff and fake. He keeps trying and trying to express the emotions in a believable way. I think this impresses her. At last, Eason catches a glimpse of her as she’s turning to leave. He asks if she lost something. He then pulls out the earring and says he found it on the floor. He was going to return it to her tomorrow. Pei Ni thanks him and tells him to continue with his practice as she leaves. Meanwhile, Ming Ming is stressing over killing Fang Meng. The deadline is tomorrow and she’s still no closer to figuring out how to do it. Of course, it doesn’t help that she doesn’t want to kill off Fang Meng and thus end Eason’s role. She asks him to give her strength and plays back the video she recorded of him performing his song with Henry the night before. Awww. I want her bunny muff pillow. Listening to this song, Ming Ming searches for inspiration without much success. She falls asleep and wakes to her phone ringing. It’s Xiao He from the studio. 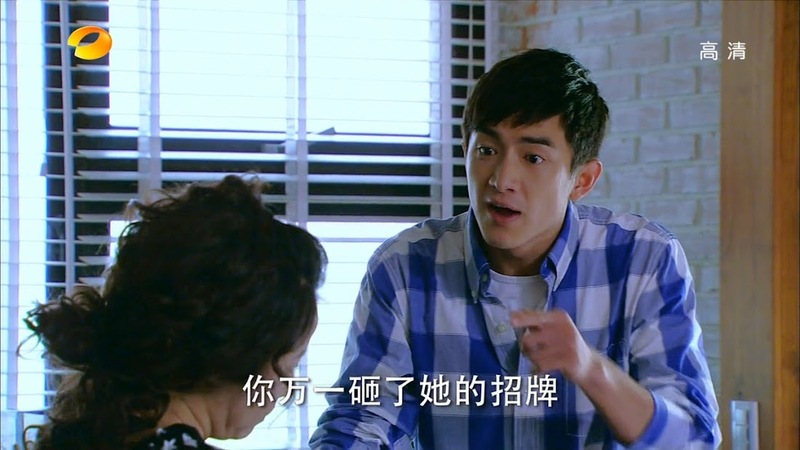 She lies and says that she’s almost done making the changes and Xiao He says he sent her the revised script. How can that be when she didn’t even send them the edits? She checks her email and there is the script for episode 5! At the office, Zhuo congratulates Xiao He for writing Eason’s death scene in a simple and easy to understand matter. The reason for this? Ou Yang rescheduled his flight to go out that morning and they needed a script to show him (I have this feeling he’s going to royally screw them over later). Zhou congratulates herself at being able to write her own script, but it’s too exhausting. She asks if he sent the script to everyone—even Ming Ming. Xiao He said he just talked to her and asked her to follow up on it. We cut to Ming Ming reading over the script which has Fang Meng and Min Gui (Rose) fighting. Min Gui angrily goes to leave and Eason pushes her out of the way of a speeding car and ends up dying. Ming Ming, of course, is horrified. Eason and his mother read over the script change and Eason is livid. His mother is surprised to see that he still ends up dying in episode 5. Eason jumps up and Qiong Zi tries to stop him. Where’s he’s going? Eason wants to beg Zhou for one more chance. Qiong Zi asserts this will do him no good now. Eason doesn’t care. He’s memorized not only his lines, but everyone else’s as well. He won’t have any more NGs. He then rushes off with Qiong Zi calling after him. At this time, Ming Ming rushes into Zhou’s office and find it empty save for Shao Tian. What’s he doing there? He was supposed to have a meeting with Zhou but she got called out to an emergency meeting with studio executives. Shao Tian then asks what happened. Ming Ming says nothing and only looks around uncomfortably. Meanwhile, Zhou receives bad news—the studio wants to bump up the time slot to next month (which is only two weeks away)! Why is this bad news? Ou Yang isn’t free for another month thanks to filming his Japanese drama. Zhou asserts she doesn’t have enough filmed. That’s fine, if worst comes to worst, then do live filming while broadcasting. Live filming is more notorious in Korea than in China, Taiwan, and Japan in which dramas are generally filmed in advance and then aired versus filming while airing. Since the drama airing right now has horrible ratings, the studio is under pressure to end it early and bring on a new drama. Zhou mentions about not getting Ou Yang for another month, but the execs don’t care. Right now everyone’s hands are tied. LOL. Got to love how this has all blown up in her face. Back at the studio, Qiong Zi is trying to stop Eason from confronting Zhou. He stops outside her office where Shao Tian demands to know why Ming Ming cannot kill off Fang Meng like Zhou wants. How come he’s never noticed just how stubborn Ming Ming is? 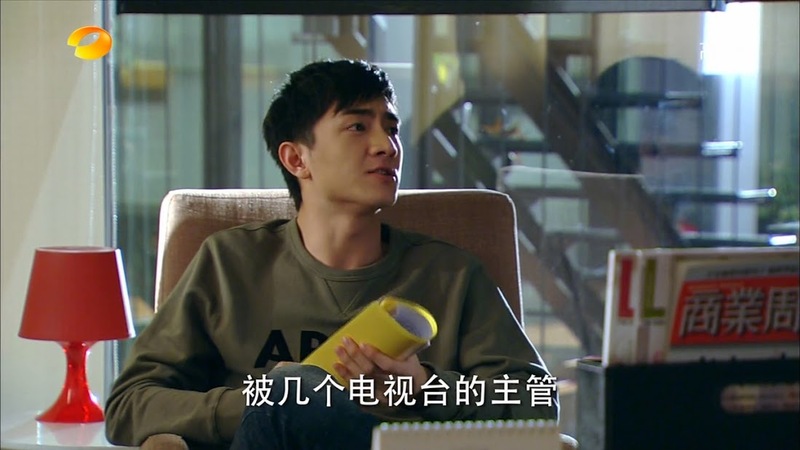 Shao Tian then reminds Ming Ming that Eason is only using her to buy himself time. Ming Ming demands to know if Shao Tian really thinks she’s that stupid. Eason isn’t that type of person. He needs help and it just so happens that she is there and can help him. This makes her feel that she’s not totally useless. Major guilt trip for our eavesdropper? Ming Ming then asks why she can’t help him? Shao Tian says she needs to consider who she’s helping. Is Eason really worth it? Ming Ming doesn’t even hesitate—of course he is! Yep, major guilt trip for Eason. He tears up a bit as Ming Ming reminds Shao Tian that after her breakup when she was having a very difficult time it was Eason who pulled her out of it. When she couldn’t sleep and when she woke up crying, it was always Eason’s voice that kept her company and gave her courage to get through the rough times. He made her believe miracles can still happen and gave her confidence she’s never had before. So why is it she cannot return a little of what he gave her? Besides, Ming Ming doesn’t have anything else to lose, so why should she be bothered about it? Why can’t she help him? Ming Ming rushes out of the office to seek out Zhou and sees Eason and his mother. Before anything more can be said, Zhou arrives and announces that there will be an emergency meeting. At the meeting, she tells them about the airing date being bumped up and starts issuing orders so that they can build as much hype as possible to attract viewers. Ming Ming interrupts and mentions the script. Zhou says she has no time and episode 5 is already finished. Ming Ming then brings up the fact that if they kill Eason’s character off in episode 5 before Ou Yang is available, then they’ll have no leading male. What will they do then? Zhou’s solution? Put Fang Meng into a coma for a few episodes until Ou Yang can make it. After that, he fails to recover and dies. Zhou then turns to Shao Tian and tells him to stay behind after the meeting so they can discuss the details of the press conference. Eason is at the roof recalling Ming Ming’s words and confidence in him. His mother comes up to find him and tell him the news. They are starting filming earlier! How is that good news? Due to Ou Yang Cheng’s schedule, that means Fang Meng won’t be killed off right away. All they need is for Ming Ming to make Fang Meng’s character popular enough so fans will want him to live. Eason is not cheered by this news. He tells Qiong Zi to give him some space. His mother zips her lips and stands silent. Ming Ming is walking around the set. Looking for Eason? She doesn’t find him and leaves. Eason then comes up on his bike. Ming Ming says she is rushing to get a taxi to edit the script. Eason offers his bike, but Ming Ming refuses and walks away. Eason calls after and thanks her. Ming Ming turns around and he thanks her again for making him realize how important he once was. He thanks her for making him realize that there was a reason he sang those song and that he is still valuable as to help a heartbroken young woman. He then says he knows she’s busy and asks her out for a cup of coffee. Of course, Ming Ming being Ming Ming, she can’t refuse his invitation. The two go to a coffee shop with a view overlooking a river. Ming Ming says that there isn’t anyone who hasn’t dated or broken up before and she’s long forgotten the relationship. A waiter comes out with a latte and a piece of cake. Eason is shocked by this. They didn’t order yet—she really must be a regular there. Ming Ming says that once she likes a place, she always comes back. The cake there is really delicious. She then tells Eason to go ahead and go inside to put in his order. Eason leaves her to do so and Ming Ming starts drinking her coffee. At this time a couple comes in and sits down immediately behind her. Of course, it’s Ming Ming’s horrible ex. His fiancée notices her and points her out. Hao De [Wang Yu] turns around and calls her name. When Ming Ming turns around he greets her. What a coincidence. Hao De says it can’t be a coincidence, doesn’t Ming Ming remember that he brought her there on a drizzly day? His fiancée then asks if Hao De thinks she hired the guy to beat him up on the day they were taking their wedding photos. 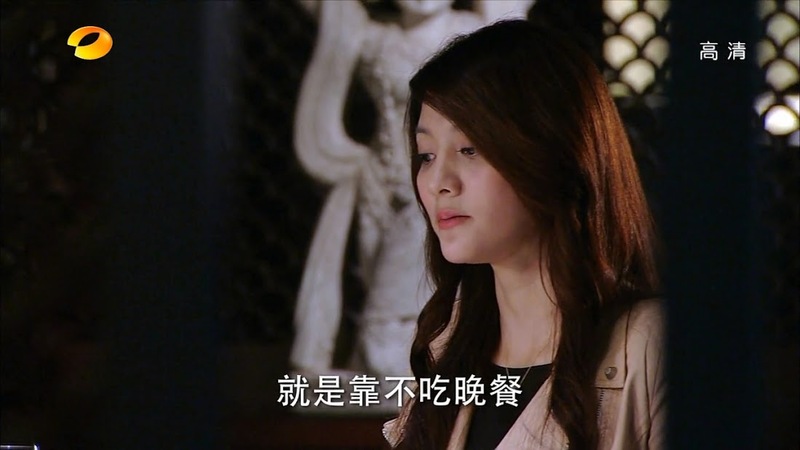 Hao De tries to shush her on the topic, but she asks Ming Ming directly. Harsh. Well…she didn’t order Shao Tian to do it, but she’ll still look bad. Ming Ming recalls Shao Tian’s words about teaching Hao De a lesson. Hao De then says the boy had a strong punch and claimed to be Ming Ming’s boyfriend, but Hao De knew it was a lie since he’s too young. 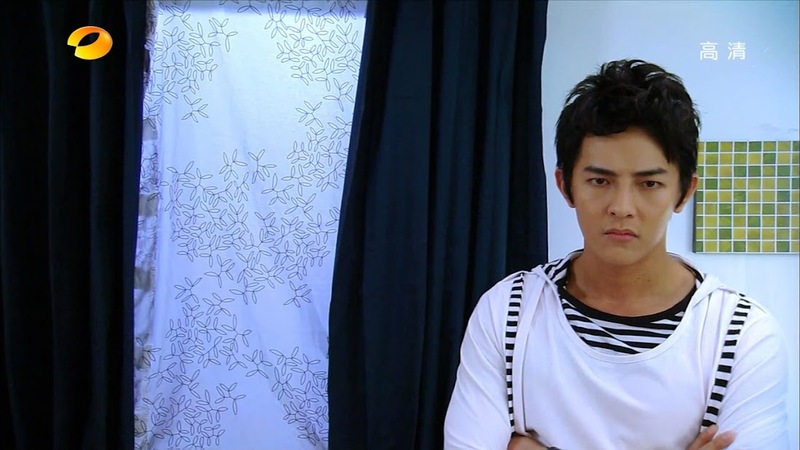 Hao De then asks if Ming Ming really hates him that much to send a fake boyfriend to punch him out. Or else was she testing him to see if he’d get jealous? It doesn’t matter what the answer is since it’s obvious he had a deep mark in Ming Ming’s life. Enter Eason. He arrives with his own coffee and cake and sits beside Ming Ming. He asks if that is the ex-boyfriend she mentioned? He must be since he’s got “b*stard” written all over his face. BURN! Hao De turns around and demands to know what he said. Eason apologizes. He didn’t mean to say it loud enough where Hao De could hear him. Riiight. Hao De’s fiancée then recognizes Eason as some celebrity. Eason then introduces himself as Ming Ming’s boyfriend and puts his arm around her. The fiancée knows that it wasn’t Eason who hit Hao De. Eason then scolds Ming Ming. He knows there’s a lot of guys who like her and want to protect her, but he believes that if he protects her and ensures no one mistreats her, she’ll choose him in the end, right? Eason then asks her to never leave him before getting up and leaning in close to Hao De. Eason says he is a man who detests violence, but after hearing what Hao De said to Ming Ming he really wants to say thank you for being a cad with bad taste allowing Eason the chance to get such a great catch. He then goes back over to Ming Ming and says she was right. Hao De is obsessed with her and even came back to this shop where they shared memories. LOL. Eason is an awesome actor as long as he’s not in front of cameras indeed. This makes the other couple uncomfortable again. Eason says the fiancée has first rate tolerance and she stalks off followed by Hao De. After the two leave, Eason asks if it wasn’t satisfying. Seeing Ming Ming’s expression, his smile fades and he apologizes for playing around. Ming Ming says that isn’t it. She had thought she had already gotten over Hao De, but as soon as she wanted coffee, she went to the place he used to take her. Maybe these bad memories cannot be cast off in this lifetime. Awww. Eason then asks what other places does she have memories of Hao De in? If she cannot forget those memories, then how about jumping into a time machine and going back and erasing all of those bad memories with good ones? Ming Ming smiles at this. Where’s the time machine? Eason holds up a “T” he made with coffee stirrers. He tells her it’s the bamboo stick that allows Doraemon to time travel (Doraemon is a very popular character throughout Asia with its own manga and anime in Japan). The two then bike around to all the places where Ming Ming used to go with Hao De. Eason has Ming Ming close her eyes and when she opens them he throws a fistful of gold dust into the air. He then asks if the memories have been erased? Ming Ming wonders if such a thing is possible. She and Eason then go to the wedding shop where Hao De broke up with her. Eason throws out his gold dust again and we see Ming Ming in a wedding dress and Eason in a tuxedo. It’s only Ming Ming’s imagination, though. They are still outside the shop, but Eason really does kiss her hand. Then off to the amusement park they go to erase more memories. Another pocketful of gold dust goes into the air. Eason and Ming Ming then get on a roller coaster. Ming Ming thinks that the happiness of the previous times wasn’t a mistake. The mistake was being unwilling to let go. These events and people should only remain in memories only so that eyes can be kept ahead to the new romance awaiting. Eason then ponders about how he’s supposed to be comforting Ming Ming, but it feels like he’s the one whose fallen into a time tunnel. He wonders if the old memories have been erased and new memories have taken their place. Why does participating in Ming Ming’s past make him want to protect her? Eason gives Ming MIng a Doraemon doll and says that he’s already told the doll to protect her when he cannot be there himself. Ming Ming thanks him and Eason says their time traveling journey has not yet ended. He’ll get his bike and take her home. Ming Ming refuses this. She can get home by herself, besides, she has Doraemon, doesn’t she? Ming Ming says she is happy that Eason spent the afternoon doing silly things with her, but how is he doing? What? Ming Ming then says she was not the one who wrote the script for episode 5. Eason smiles and says he knows. Ming Ming says that as soon as she saw the script she got really fired up. How dare they decide Fang Meng’s life for her? She has decided that thanks to that afternoon, she will not only take responsibility for her life, but for her characters’ lives as well. She will definitely NOT leave Fang Meng lying in a coma. Ming Ming smiles and says she needs to quickly go home and work on Fang Meng’s life line. She walks away and Eason calls after her. He thinks he’s falling for Ming Ming Teacher. This shocks her and she turns around. These words also seem to have shocked Eason as well. He then tries to retract his words. He doesn’t want to cause her problems since its bad if a writer and actor are together. He apologizes and says he needs to be more rational. Ming Ming agrees that they both need to be more rational. Eason then agitatedly goes off to get his bike. Ming Ming then smiles brightly as she recalls his confession. Shao Tian is working diligently when Ming Ming comes in. He says he’s nearly done with the website and wants her input. Where has she been all this time when she was in a hurry to come back home and revise the script? Was she out playing all this time? Ming Ming cuddles and smiles at her doll. She wasn’t playing, but gathering information. Shao Tian wonders what that has to do with Doraemon. Ming Ming tells him that romance is the most important part of a drama and Doraemon helped her find it. Shao Tian isn’t stupid. Does his jie really think that Eason is her Doraemon? Ming Ming says nothing to this and Shao Tian reminds her of what Zhou jie told her. Eason will be in a coma for two extra episodes before dying. Why would Ming Ming risk everything to save Eason when he’s only playing her. 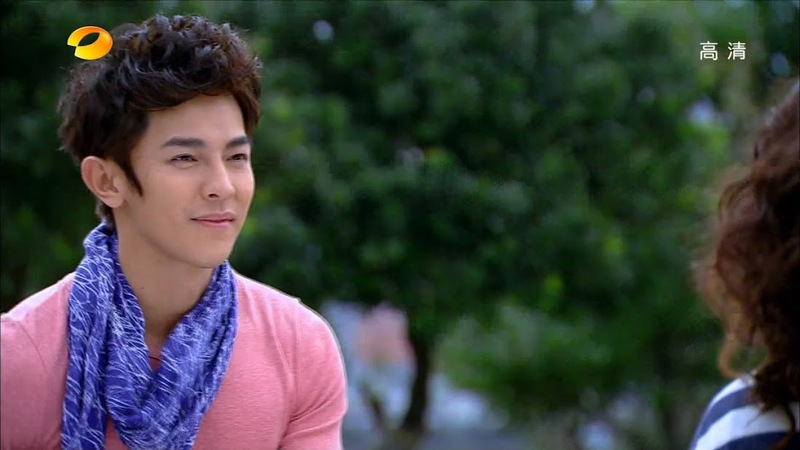 Ming Ming asserts that Eason is definitely not using her and tells Shao Tian that Eason confessed he was falling for her. Shao Tian says he doesn’t believe it and Ming Ming amends the words. Eason says that he “might” be falling for her. This doesn’t make Shao Tian any happier. Especially when Ming Ming calls Eason upright. Does that make him petty? Ming Ming grabs his pointing finger and tells him she’s found inspiration. She’ll go jot it down while he finishes up his webpage and then she’ll come back to talk about it. LOL. The next day Zhou asks Xiao He if there is anything else that needs to be done. Xiao He reminds her that Pei Ni hasn’t been told of the upcoming press conference or that Eason will be on for at least two more episodes. This worries Zhou. What will the young miss do if she learns Eason is staying longer than intended (even if its in a comatose state)? Meanwhile, Pei Ni is meeting with her arranged date. To make her feel more comfortable he rented out the entire restaurant. Right. That’s a way to put someone at ease. He then says he already went ahead and placed advanced orders for the fish meal. Does she not like fish? He can change the order to steak. They have steak imported directly from Japan at that restaurant. Pei Ni then asserts she doesn’t eat dinner. The man says her figure is good so there is no need for her to diet. Pei Ni smiles. Does he know that her figure is from skipping meals and working out vigorously? The man immediately apologizes. That’s why they should get to know each other better. Pei Ni then says she lives a life he cannot imagine since he’s born wealthy. She then gets up and leaves. That’s Pei Ni for you. But, I wouldn’t like a man showing off like that either. Pei Ni is driving home when her purse slips off the seat. She bends to pick it up. As she sits back up, Eason on his bike crosses her path and she hits him. End episode. I wonder just how complicated the love lines in this drama will get? 🙂 After I watch the episodes, I always go & check out your thoughts & reviews.